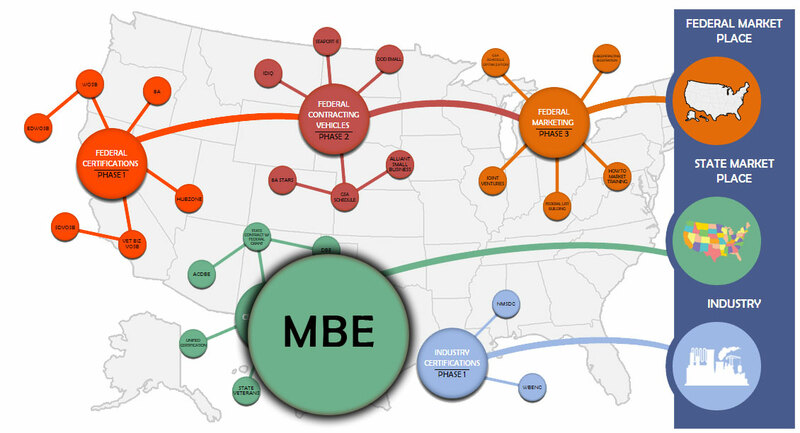 Maryland’s Office of Minority Business Enterprise is the certifying Agency for Minority Business Enterprise (MBE), Disadvantaged Business Enterprise (DBE), and/or Airport Concessions Disadvantaged Business Enterprise (ACDBE). Maryland law requires their State Agencies to strive to award 29% of contracts, by total dollar value contracted spend, with companies that are directly or indirectly MBE certified. To support this goal, each agency has established procedures to review and assess requirements for supplies, services, maintenance, architectural/engineering and construction contracts to include MBE participation. *The DBE program has transitioned to the Small Business Enterprise (SBE) Program which is a race and gender neutral program. SBE certified businesses may meet business participation goals for federally-funded contracts that are issued by the U.S. Department of Transportation (USDOT). This includes contracts administered by the Maryland Aviation Administration (MAA), the Maryland State Highway Administration (SHA), and the Maryland Transit Administration (MTA). Ownership- Business must be at least 51% owned and controlled by one or more socially-and economically-disadvantaged individuals (African American, Hispanic American, Asian American, Native American, and Women). Disabled individuals and non-profit organizations that serve the mental or physically disabled. Expertise- The minority applicant(s) must possess the technical expertise and expertise for those specific services and/or products that are to be provided by the company. The applicant(s) must also possess the authority to make the day-to-day business decisions for the company. Personal Net Worth – MBE applicants are limited to having a personal net worth less than approximately $1.5 million dollars .